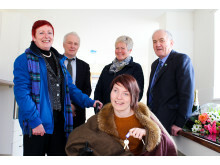 Some delighted residents accepted the keys to new homes in Dufftown yesterday. 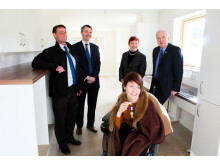 The 19 council properties are the first new housing to be built in Speyside for a generation, and will be occupied by predominately local families. 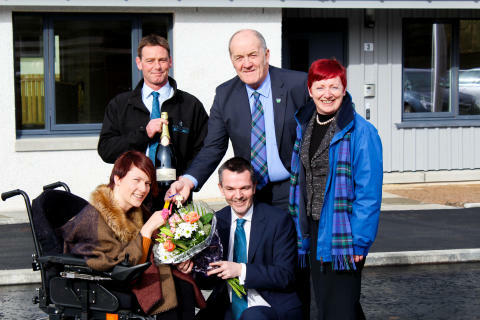 The £2.5million contract for the energy efficient development was awarded to Elgin-based Robertson Northern, who were on site yesterday with Moray councillors to welcome one new tenant, Louise Clark, to her home. 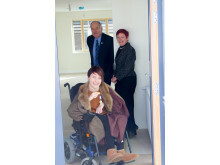 Louise’s move into her specially adapted, wheelchair-friendly home marks a new era for the 21 year old, who is looking forward to having her own place for the first time. Ahead of celebrating her birthday later this month, she said: “I’ve been living with my parents, so like many in that situation it’s so exciting to have my own place and independence. Eight of the houses are cottage flats, some specially designed for older people. 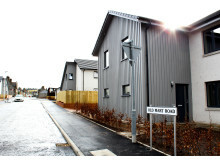 The brownfield site was previously home to a cooperage and an auction mart, and was purchased by Moray Council in 2014 to help meet demand for low-cost housing in Speyside. 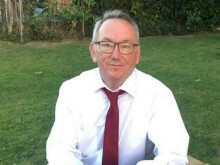 Chair of the Moray Council’s Communities Committee, Councillor George Alexander, said that the energy-efficient homes will mean that a number of tenants will be able to stay in the area instead of relocating to town centres elsewhere. 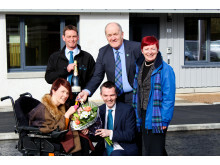 “Moray Council is committed to building affordable housing in all our communities,” he said. 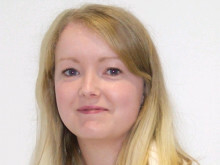 “This investment in Dufftown is one of many affordable homes projects to come to Moray, and will give some relief to the housing shortage in Speyside. “These homes will be economic in energy terms which should help reduce fuel poverty, and will have turned an ugly industrial site into a pleasant development. as the primary factor, and their points’ level as secondary, with the aim of supporting the sustainability of fragile rural communities. New housing development in Dufftown.